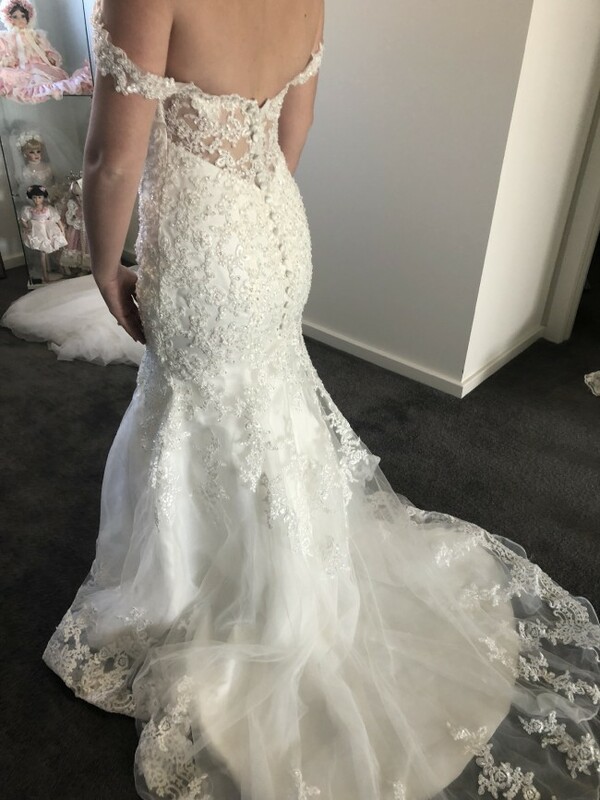 This dress has never been worn as I decided I wanted different style when it came closer to my wedding day so it is brand new. It is a bit big on me in the pictures but can obviously be altered to fit your bodytype. A free bag to keep the dress in will also be supplied. The off the shoulder sleeves are detachable if you want a strapless look. I had crystal detailing added throughout the dress. I also will also add cathedral style long veil and detachable tulle skirt with the dress purchase. Both have also never been worn. I live in Moorebank, Sydney. You are more than welcome to come and try it on.